Give the body that gave you your body the ultimate relaxation combination: a float and a massage. With the muscles relaxed, soaked with magnesium, and the nervous system fully unwound, a post-float massage is even more amazing than usual. You can come in and pick up a gift certificate at The Soul Space, give us a call at 360-972-3031 to order over the phone, or you can order one up online. 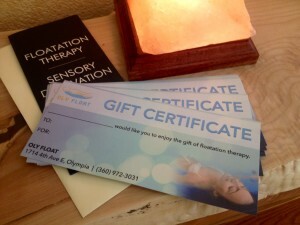 Purchase a 3-Float Series and you’ll get an extra 4th float for free, which you can give to mom as a gift certificate. 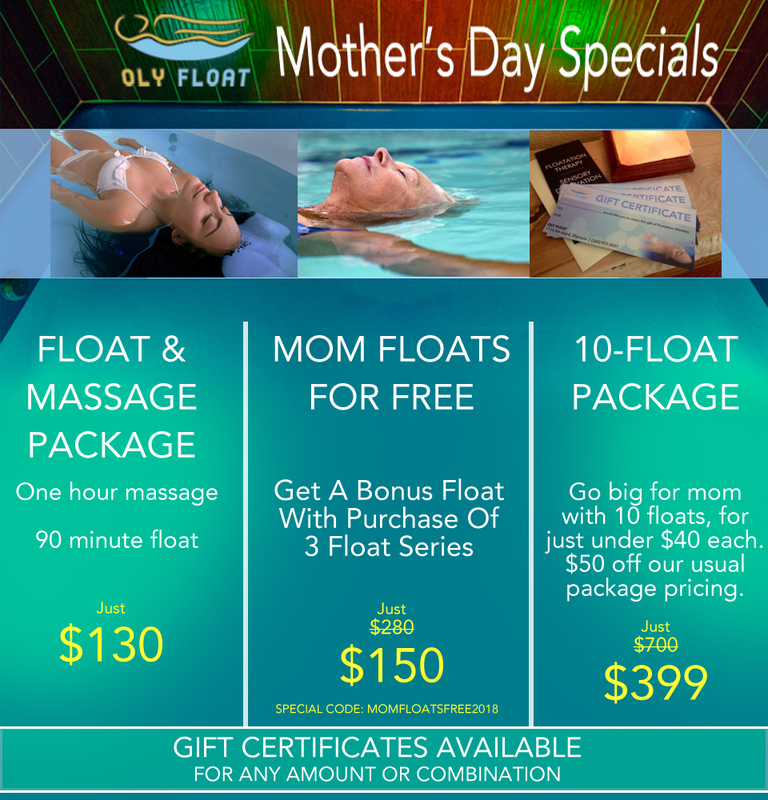 You get three floats AND you get an amazing gift for mom … for free! Just use special code MOMFLOATSFREE2018 when you purchase online. Otherwise, just drop in at our front desk or give us a call at 360-972-3031 and we can write up a gift certificate. 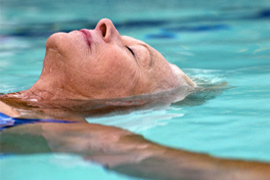 If Mom loves to float, you could go big, at a savings. You can pick up 10 floats for just $399, 40% off our regular float prices. Some for mom, some for you. She’ll never know! As always, we’d happy to write up as many of those 10 floats as a gift certificate.